If you have suffered a personal injury, or a member of your family has been injured or tragically lost their life, you desire justice. Regardless of whether you are the victim of negligence, medical malpractice or even a workplace accident, you want to be compensated for your losses, and you want the maximum award you are entitled to receive. Fortunately, the legal professionals at Anesi, Ozmon, Rodin, Novak & Kohen Ltd. happen to share these goals. Indeed, our attorneys are fully invested in their pursuit of achieving the best results possible for our clients. And, we have a long track record of courtroom success. While other firms may be quick to settle, we approach every case as if it will go to trial. Thus, when litigation is warranted, we are already prepared. Our attorneys are tenacious and aggressive advocates, fighting hard on our clients’ behalf. No firm can match our passion for justice or level of expertise ― particularly in the fields of construction accident litigation and workers’ compensation, where we are the recognized leader. In fact, we have obtained a number of record verdicts and multimillion-dollar recoveries on behalf of our clients. We often take on difficult cases that other firms turn down. The fact is, when we say you have a case, you can feel confident in the strength of your claim. Favorable verdicts, high-dollar awards, record recoveries ― these are strong measures of success. But, what truly sets our firm apart is the number of referrals we receive from the people who know the system best: insurance adjusters, judges, arbitrators, even opposing counsel. When someone they care about is injured, they refer them to us. That is the kind of reputation that is earned over many years and many courtroom successes. 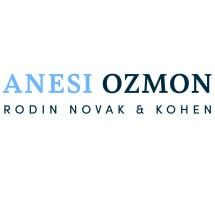 Anesi, Ozmon, Rodin, Novak & Kohen Ltd. represents clients throughout the state of Illinois, including those living in Chicago, Joliet, Rockford, Aurora, Peoria, Kankakee, Rock Island, Wheaton, Champaign-Urbana, Ottawa and Springfield. se habla español.